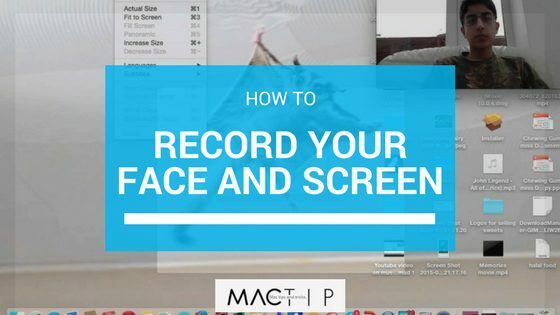 Recording your face and screen simultaneously is an interesting feature available to Mac users, and allows for the creation of a unique kind of video which is very useful to those creating tutorials, or for teachers recording online lessons and lectures for their students. There are several external apps available for download that allow you to do this, but it is also possible to do using only the hardware and built-in features already available to you on your Mac. The process is called Screen casting, and you can follow the steps below to learn how to do this for yourself. Launch QuickTime player (already available on your Mac). Select File, and choose New Movie Recording, to begin working on your video. This will open a “camera window,” which you will use to record your face. In order to make sure that your camera window (the window which will show the recording of your face) appears above any other application that you will open on your screen during the making of your video, select View, and choose Float on Top. At this stage, you can resize and/or reposition the floating camera window that you just created anywhere on the screen, so that it will suit your particular video. Make sure that the window is big enough so that your face is visible, but small enough to allow the material you need to present to be readable. A common position for the camera window in videos of this kind is the upper-right-hand corner. To set up the portion of your video which will involve the screen, select File, and choose New Screen Recording. A Screen Recording box will appear, which includes a sound bar and a round, red Record button. There are also settings, which you can access and adjust by clicking on the arrow beside the Record button. When your screen is fully adjusted and positioned the way you would like it, click on the Record button to begin your recording. Your computer will then provide you with a prompt: click anywhere on the screen to begin recording the entire screen. Or, if you would prefer to record only part of the screen, drag your mouse to select your chosen area. As long as you include the portion of the screen which contains the camera window, your computer will record both what goes on within the camera window and what goes on in the rest of the screen. To stop your recording, you can press the Stop button in the menu bar, or press the Command-Control-Esc keys simultaneously. QuickTime also allows you to edit the video you’ve just created within the program itself. You can trim video clips or even just the audio, add music, and use a number of other features to create your ideal video. 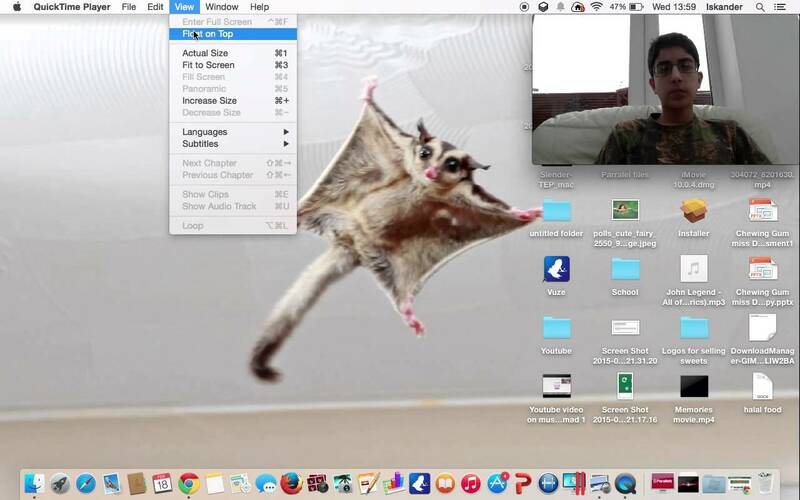 Then use QuickTime to export your video for the most convenient platform. Thanks for the article! Sometimes I have to work with Mac at work, so it’s a big help for me, since i’m not really used to it. Thanks for the article! I have to wotk with MAC at work sometimes, but I’m not used to it yet and don’t know what software is the best for recording on MAC. I will try QuickTime next time.